Milk tea has been enjoying a rise in popularity over recent years. In Asian countries such as Singapore, Malaysia, and the Philippines, the drink is notably well-loved that you can find milk tea stalls almost all over the nation. Also commonly called as Bubble tea or simply “Boba”, its sweet taste is enough to attract more and more avid milk tea lovers by the day. Even westerners have acknowledged it may just become the next “big” drink sold out in the market. Bubble tea has been around for about 30 years. The drink was first created in Taiwan during the 80’s, commonly called as milk tea. It is made out of fresh brewed tea, sugar, and milk – later shaken with ice to serve ice-cold. The initial process of preparing bubble tea paved way for the name to come up. As the tea is shaken, a froth forms atop the drink. 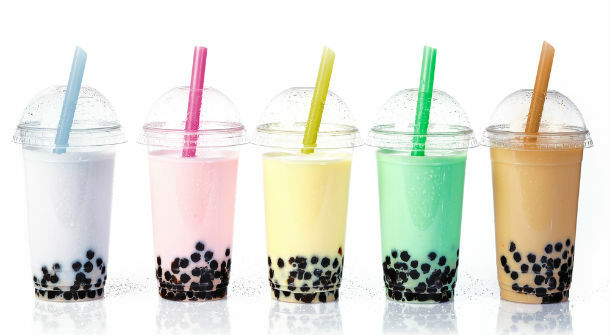 The namesake is attributed to that bubble froth and thus the name, bubble tea. 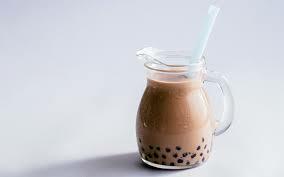 Milk tea’s original topping is the tapioca pearls. They are these little, sweet black balls often seen at the bottom of the drink. It is made from cassava root and rolled in a ball-shape figure before it is cooked to achieve its chewable texture. Shortly afterwards, it is also flavored with various syrup and sugar. The most common flavoring used is either brown sugar or sugar extract. The chewy texture of tapioca pearls can be likened to a sweet Japanese dessert, Mochi. However, as time shifted, so did the taste buds of milk tea lovers. Milk tea stalls now offer jellies, pudding, and a rock salt and cheese froth as toppings on your drink. The jellies are made out of nata de coco (commonly imported from the Philippines) which is a coconut-water based treat. In order to jellify the coconut water, it is fermented without the presence of gelatin. The sweet jellies are later flavored with juiced and fruit syrups, and it is also considered gluten-free and vegan! Considered as the original flavor of bubble tea, classic milk tea remains the most popular variant among milk tea lovers. It is made out of black tea combined with evaporated milk and sugar. The strong black tea is brewed and strained, and in order to cool down the drink, the liquid is pulled. Evaporated milk is then added in order to make it creamier and thicker. It’s a well-balanced flavor between the bitterness of the tea and the sweetness of the milk and sugar, making it a top-selling flavor.